Look how crazy this is!! 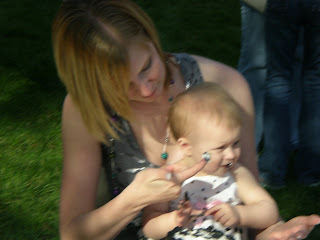 I love my Booger Bean! 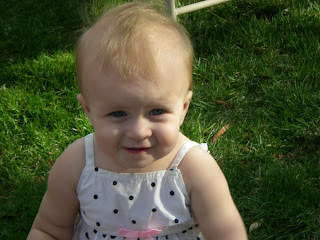 She is already frowing up too fast! Cousin Jose a year later, such a big boy!!! 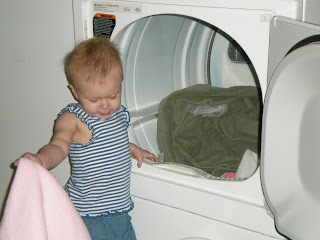 Autumn loves pushing him around, ha ha ha. 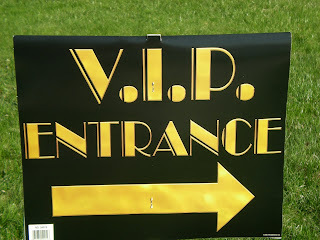 Some fun pictures I found. But now it is almost time for her to get back. 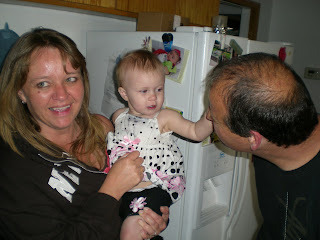 Here is my Aron when she was here visiting, LOVE YOU! I thought this was cute. Autumn always has a moring bottle, and she is always laying on Blink, every morning. It's so cute! Working on her walking! She is getting really good. We are so proud of our Autumn bottom! You can't see but she has my phone in her hand. She is pretending that she is on the phone. 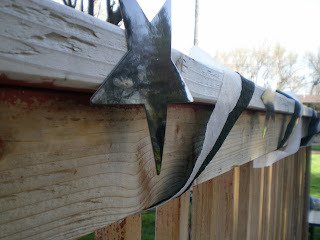 I <3 this picture!! Silly booga bean! This is my favorite picture ever! SO cute!! her favorite part about the park is the swings. She gets so mad when you make her stop swinging! I love these pictures of Autumn. 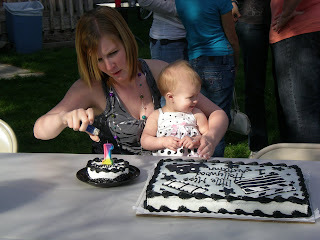 So April 18th, 2009 Autumn Jade Hervey turned ONE YEAR OLD!! 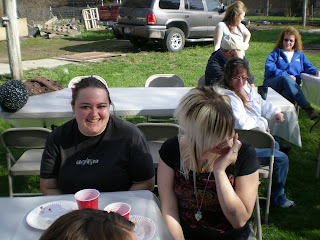 Here is My best friend, and Autumn's Aunt Cami (blonde, hiding), and Her sister Shanny. 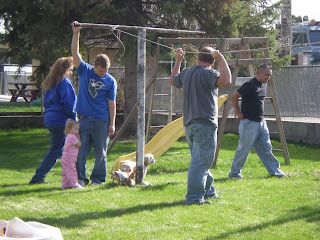 Behind Cami is Grandma Egbert (in the white) watching Autumn, in the blue is Dustin's Aunt, Heather, and standing next to Heather (with her hand on her hip) is Dustin's other Aunt, Karidi (phew!). 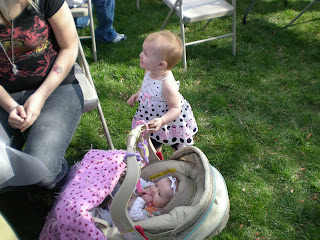 Autumn smiling at Cami (she loves her auntie cami!!!). 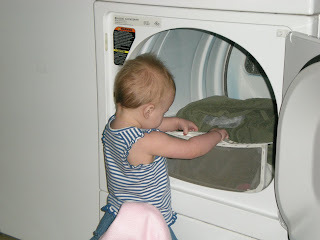 Autumn wants to see what is in the car seat. 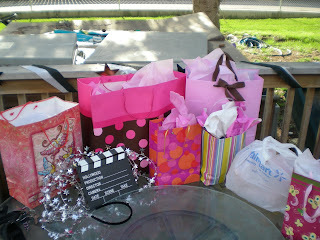 It was Austyn Anne! 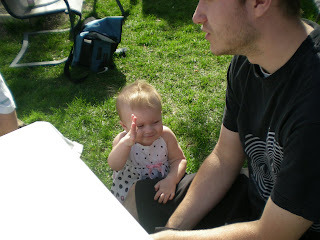 Autumn playing with her daddy! 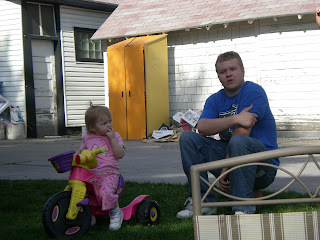 Skyler and his little girl Taya! 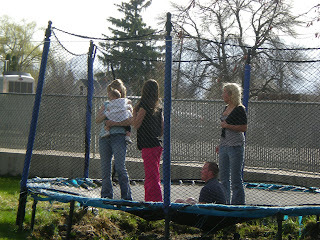 Heather, Skyler, Taya, Jack (Heather husband) and Luis (Karidi's Boyfriend). 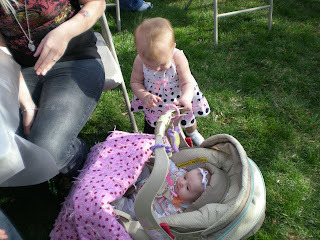 Karidi holding Tanika (Heather and Jacks baby), Joe sitting by his wife, Kalli's feet, and Brandi, Dustin's youngest sister, with the pink pants. 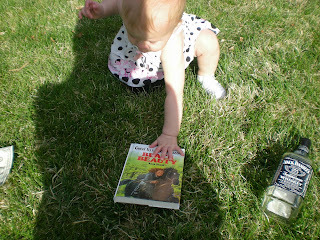 My family has a tradition that on a baby's first birthday they have to pick between a book, a dollar, and a bottle. It's kind of like fortune telling. If they pick a dollar, they will be rich. If they pick the book, they will be smart, and if they pick the bottle they will be a drunk. we used an empty bottle of Jack Daniels for the bottle, and the whole time, our friend Darci was yelling, "Go for the Jack!!!" lol! 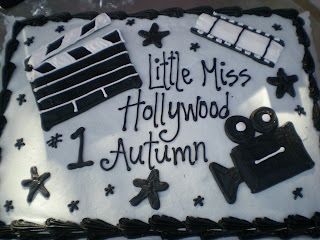 Here is Autun's Hollywood themed birthday cake, it turned everyone's mouth black!!! 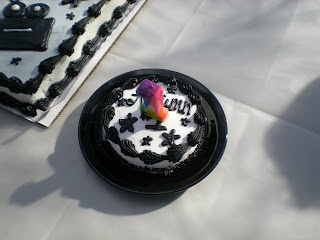 Autumn's Individual cake with her candel in it. 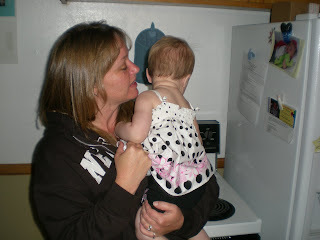 She made a mess on me and my hands, but she did not want to be messy in her pretty dress. It was so sad! 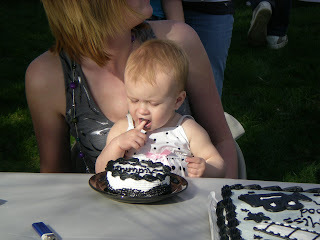 She didn't want to get messy and when Dustin smashed her hand in the cake she started screaming!! lol. My clean little princess ha ha! 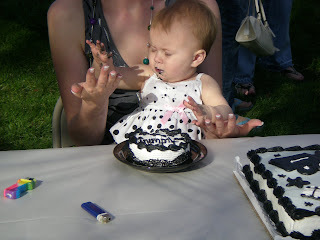 Autumn wouldn't let me give her any cake, she wanted to do it her self because she is a "big girl"
She would take bites, one finger at a time, to keep her self very tidy. 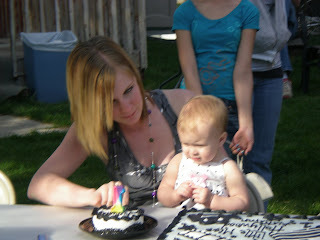 Everyone singing happy birthday, and Autumn waiting patiently to dive in! 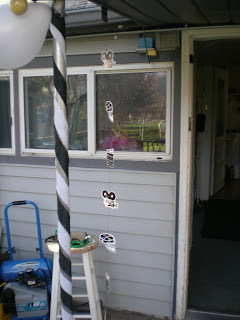 Below are all, well most of the decorations we got for the party. 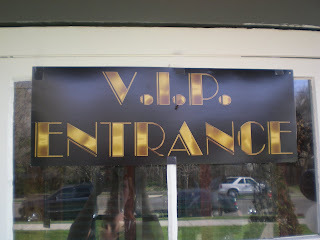 Sign on the front door. 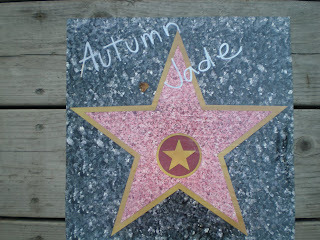 Autumn's star on the walk of fame! 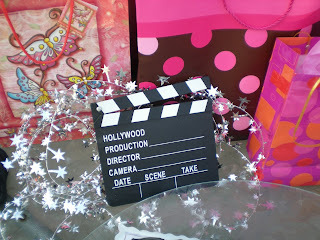 I loved the hanging hollywood decorations we got!! 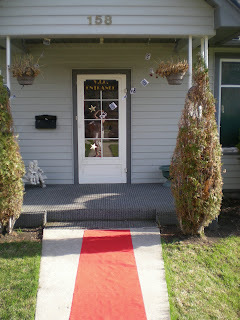 The front enterance, with a red carpet to complete! 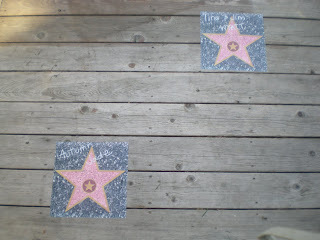 Our very own walk of fame! 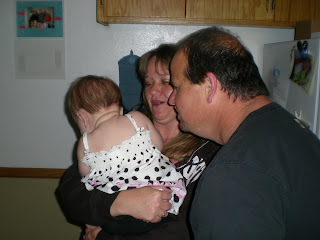 Pictures of after the party, Grandma and Grandpa playing with Autumn.